The spark dies and darkness takes over. Step by step. Initially, unobtrusively, you do not even notice the shadows, but as it gains strength, you start hearing the sounds from the unlit corners. Dusk changes into darkness and danger comes, that only the real heroes can stand up to. Everything started with the Dark Souls game in 2011 on the Playstation 3 and Xbox 360 consoles. Sequels followed, and gradually spilled into other entertainment industries. 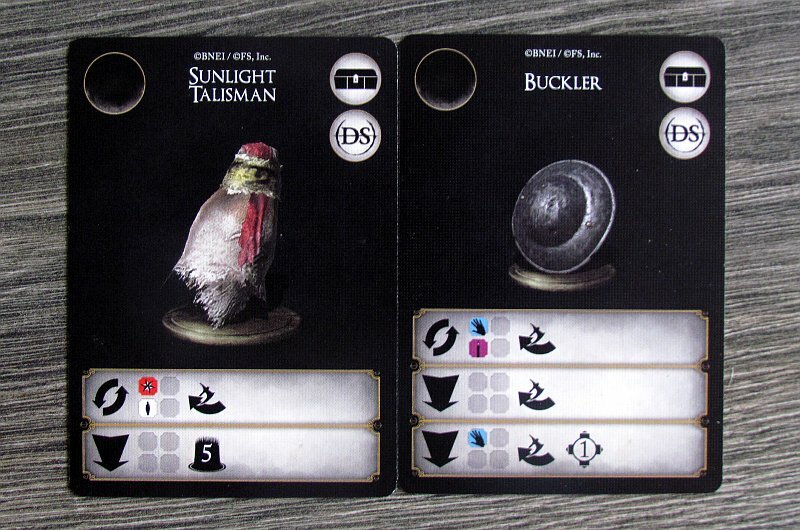 On our tables (and on the Kickstarter server), the great Dark Souls game: The Board Game tried its luck first. 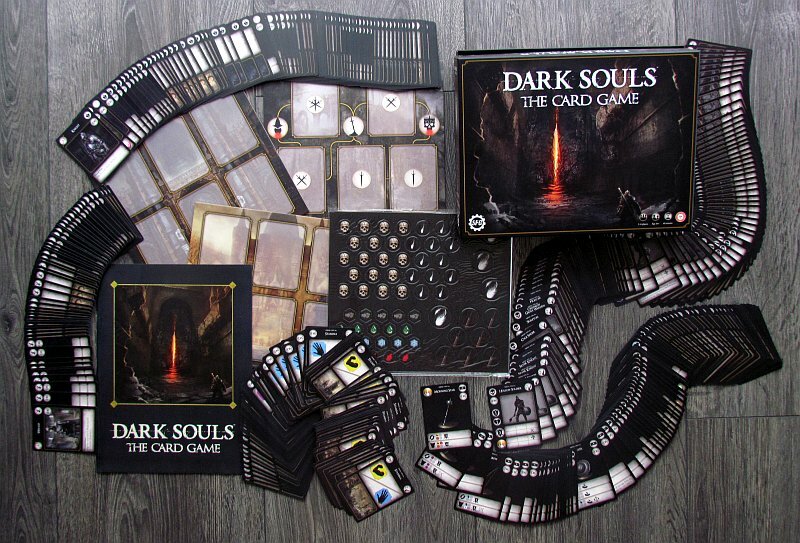 And a year later, after another successful Kickstarter, Dark Souls: The Card Game followed. David Carl himself is behind it as designer. 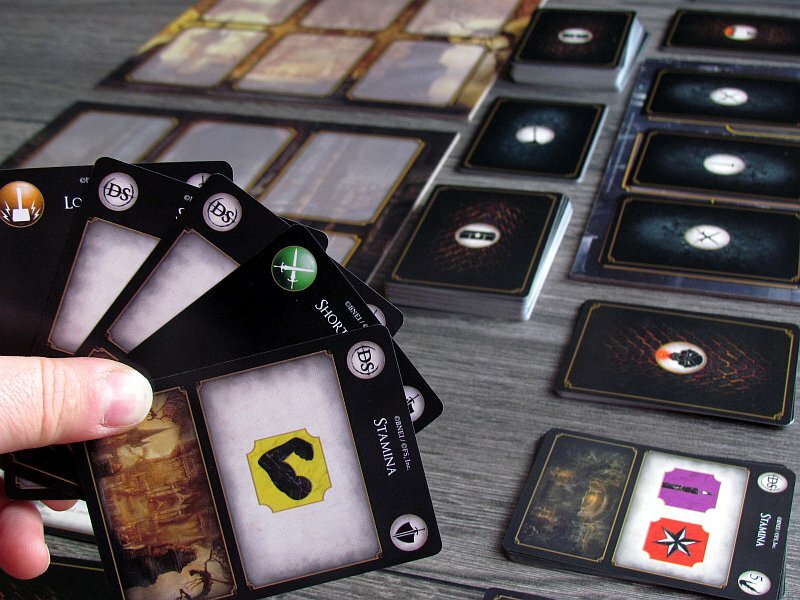 The game was released again by Steamforged Games, and Esdevium Games is a distributor in Europe. We see the last flashes of light on the lid, but there is evil in it. Under the lid, the rules immediately warn us, that we should prepare for death. Everything is soo gloomy. 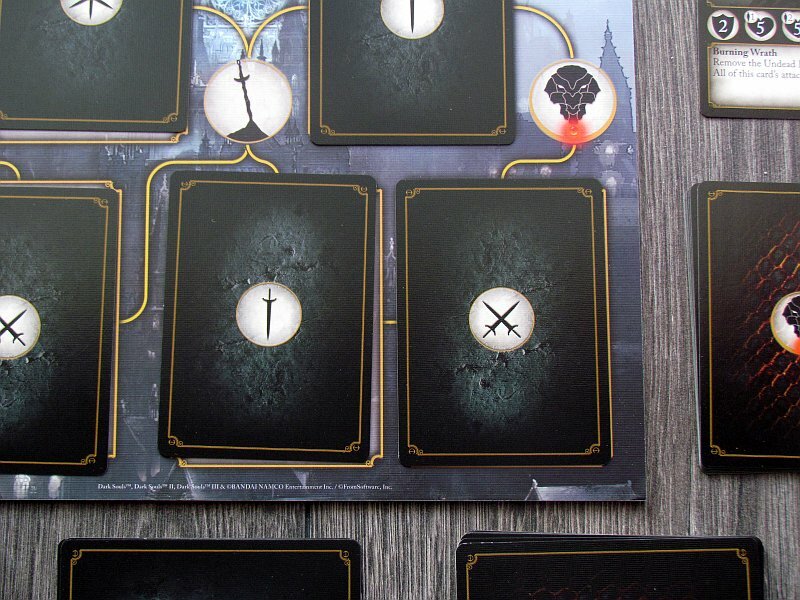 Inside the box, however, there are not only cards, although they are still the heart of the game. 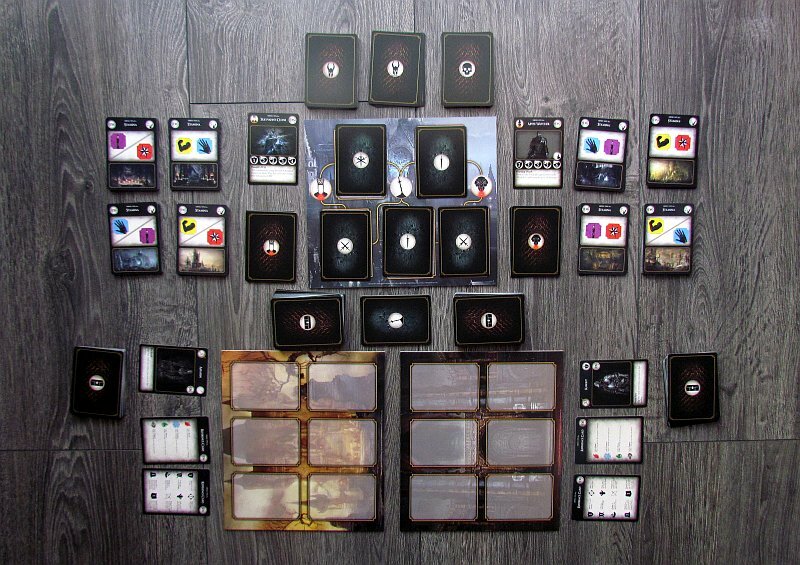 There are also three boards (one exploration and two for combat) waiting to be placed by the players in the center of the table. 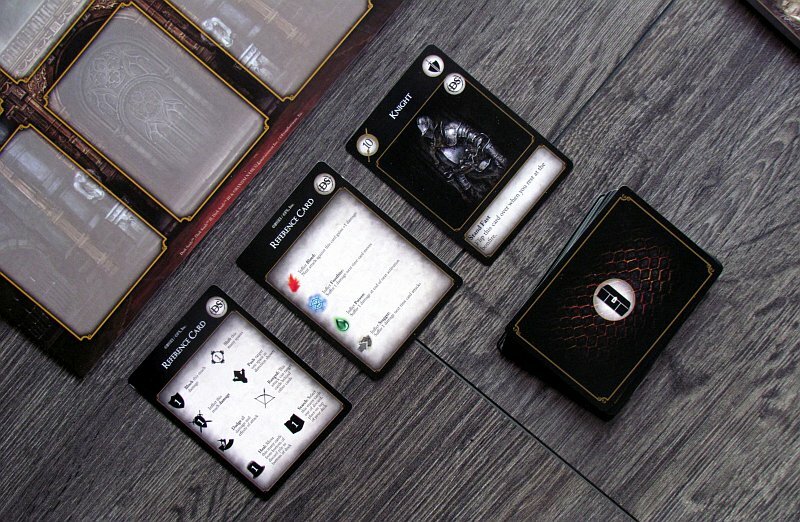 Exploration board is important for the whole group, because by revealing cards, they simultaneously identify monsters by randomly equipping it by set of enemy cards. Next, they will prepare several decks of endurance. The rest of the inventory will be created by decks of matching bosses and their behavior cards, treasure cards and spark cards. Players will return to fire in case of trouble. Each player chooses one of the four available heroes and also gets a starting card. 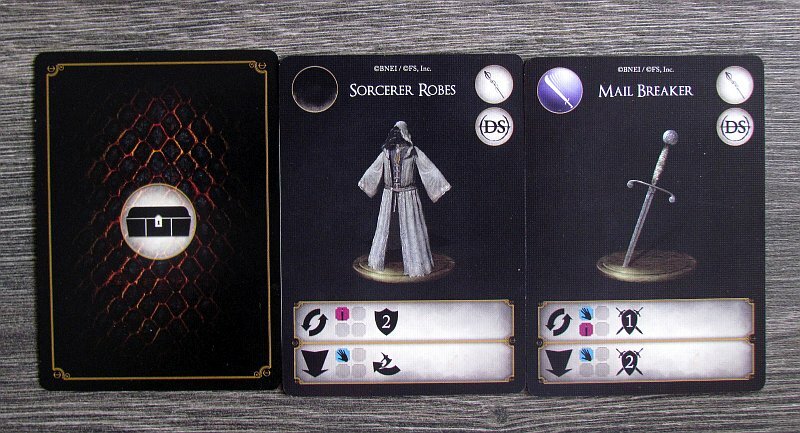 Among his cards, there is also one showing the hero himself, describing his special qualities. 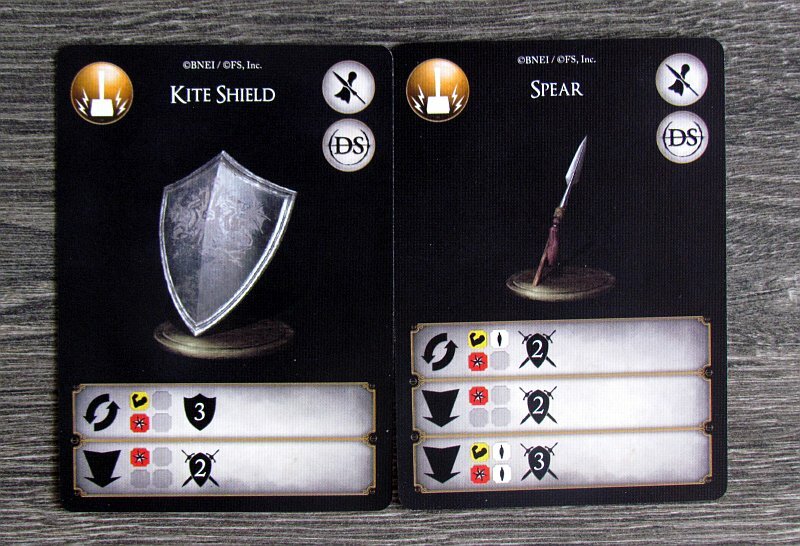 Players each spread their character card to a hero board, that represents their combat layout. Every player then shuffles rest of his own package and places it in front of him. The joint setup then completes with stacks of tokens. 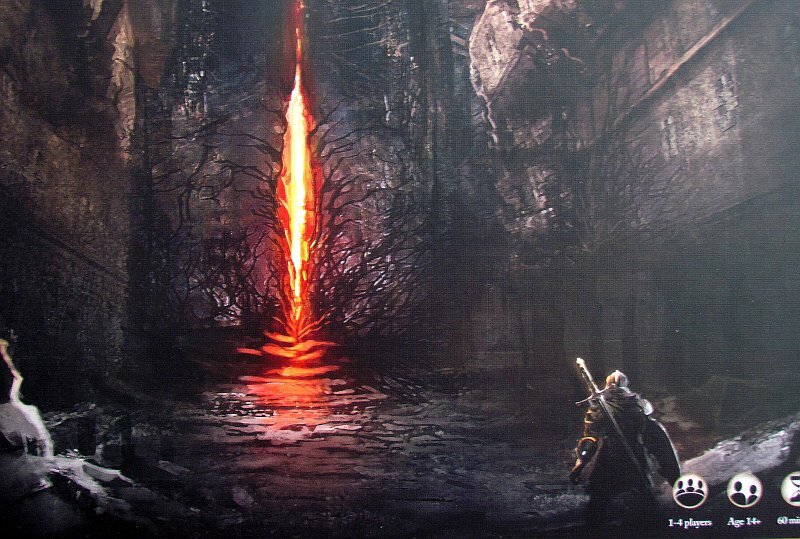 On the exploration board, there is a fireplace, where everything starts and this location is connected by routes from the safe base to some of the rooms, where the fighting will happen. 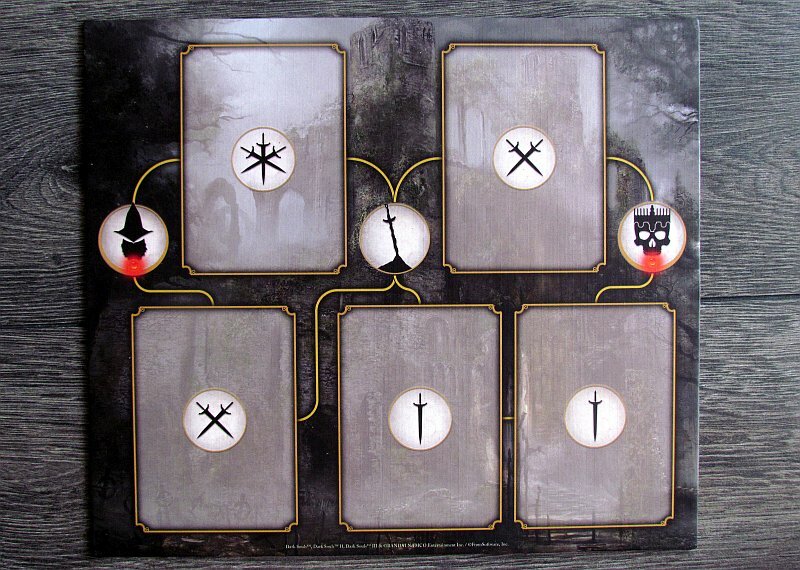 At the beginning of the game, players can choose one of three paths, that differ in difficulty from the easiest with one sword up to the most difficult third with three swords. As soon as players enter a room, a duel immediately occurs. 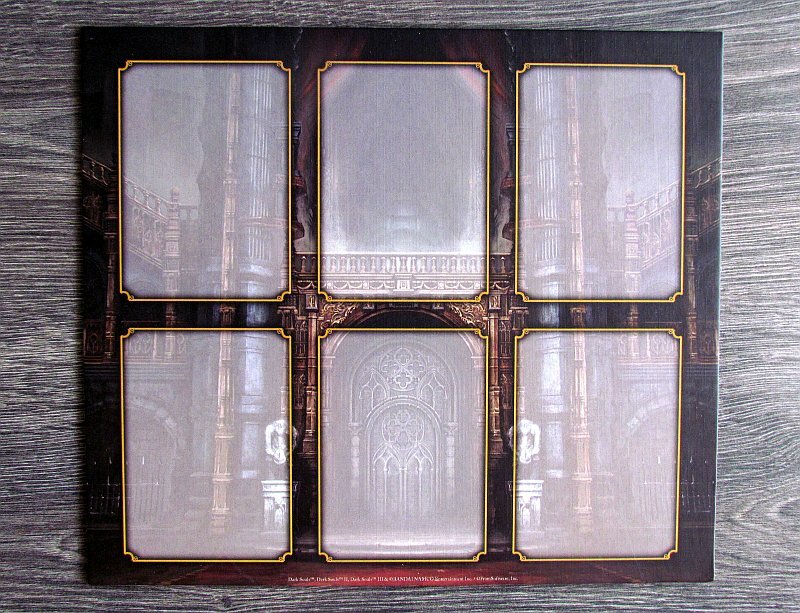 Heroes together reveal a specific encounter card, whose identity they have not yet known and, according to its instructions, they reveal a number of different monster cards and place them on the monster board. Each monster has its preferred position to start in (from six possible). 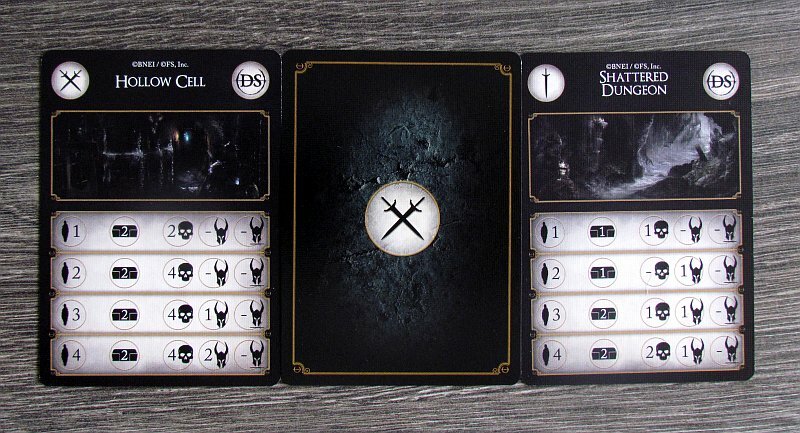 By the beginning of the battle, each of the heroes will draw six cards from his deck. But before they get the chance to use their weapons, creatures will first use their advantage and each will activate once. 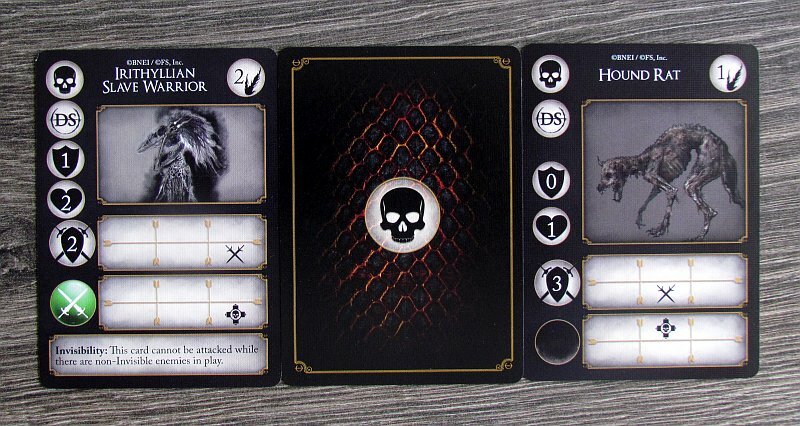 The monster card determines not only its attack strength, defensive capability or number of lives. Above all, however, it shows the specific position or area of the heroes, which will it attack. 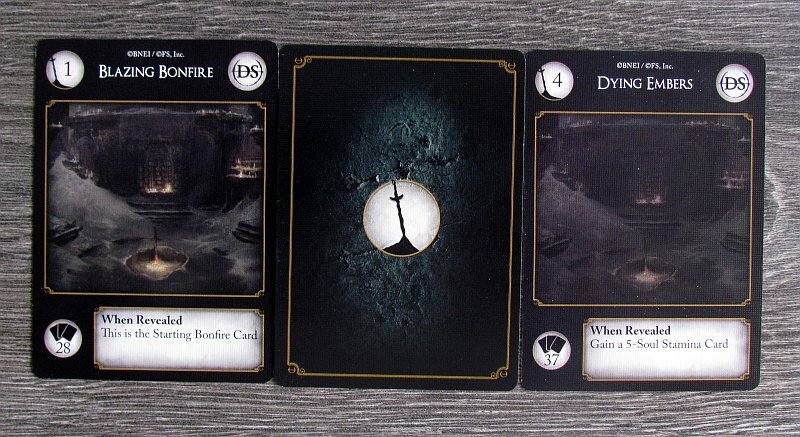 Gradually, all warriors of the dark try to hit everyone in the place prescribed by their card. This may lead to a situation, where the monster appear (and attack) a position, where no one is. But that does not mean, that the blow misses. It chosses the hero, who has the highest value of taunt in the same row, as its target instead. Players can defend against attack with one of their abilities, but they are worth energy (cards) from hand. For this, they can reduce hit value by defense capabilities of their equipment. Only then will the heroes get chance to attack and retaliate. They can choose the order, in which they try to strike. There are a number of different types of attacks in their repertoire, for which they must always pay by energy (stamina) cards. 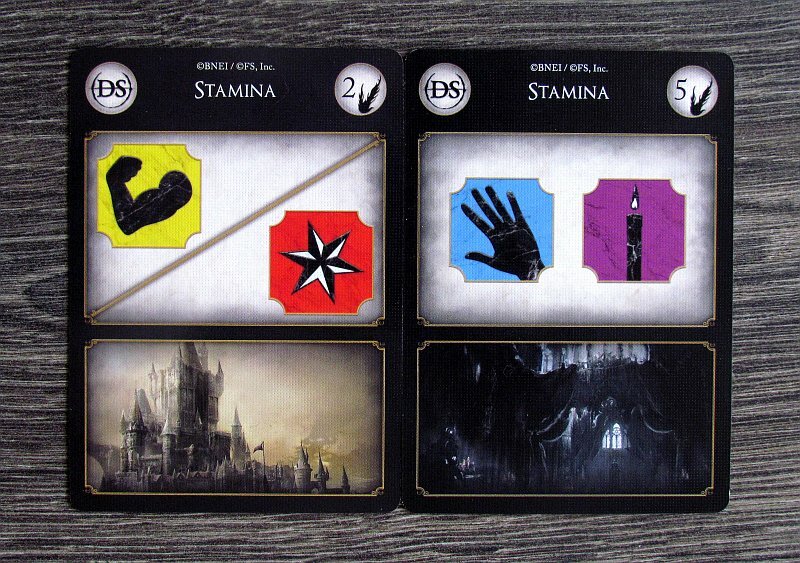 Two types of cards – equipment and stamina – is hiding in player’s drawing pile. Each use of the equipment requires a certain dose of stamina to be used successfully. Players can not use all their weapons every time. They often get into a situation, where they can not attack at all. Instead, they can move their hero on the position, discard the cards out of hand and get the same number of new ones or use the non-combat actions of their equipment. Discarding a card is an irreversible process until hero rests near the fire. If player drops something, he will not be bending to pick it up again during fight for life. In battle, the monsters and the heroes alternate until someone wins. 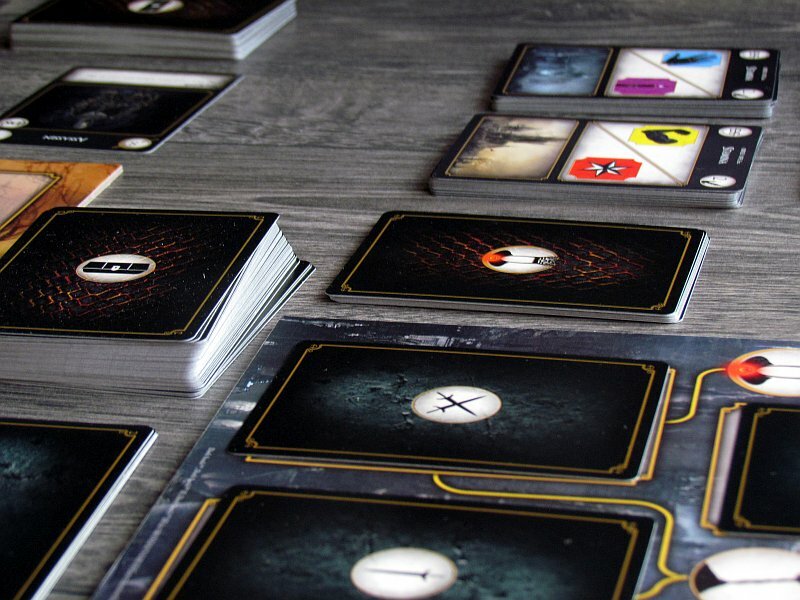 It can be a monster, if at least one of players needs to draw a card and his pile is empty. This means, that cards also serve as hero’s energy. 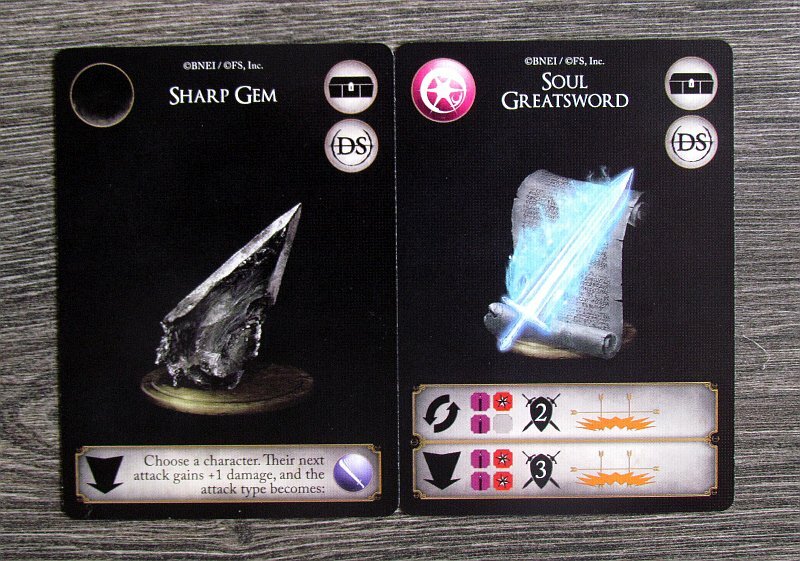 But sometimes players can win a battle, so they will not only get the title reward in souls, but also a certain number of treasures for the losing monsters. However, these cards can not be divided by the players, yet. 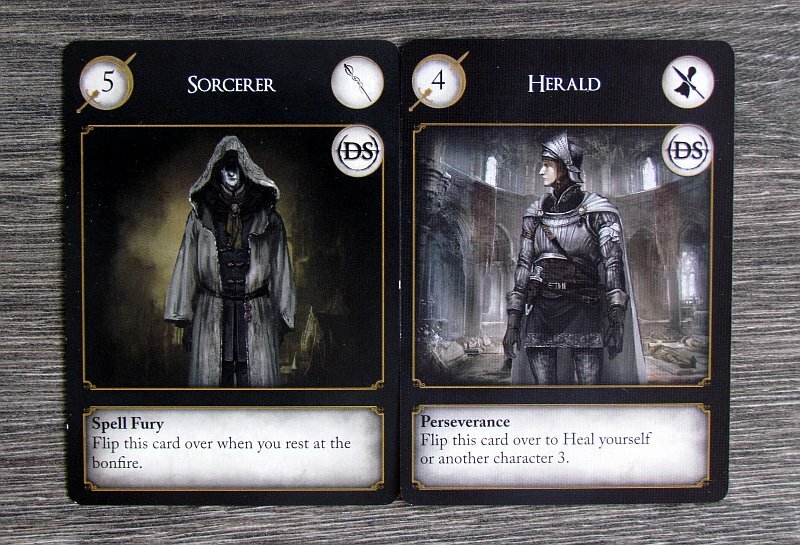 Instead, they must first be set aside, until heroes decide, whether they want to escape and rest at the fire or if they have enough strength to continue to another battle with their remaining cards. When the heroes return to the fire (whether for rest or because one of them has exhausted his deck during battle), they first have to put aside one spark card. 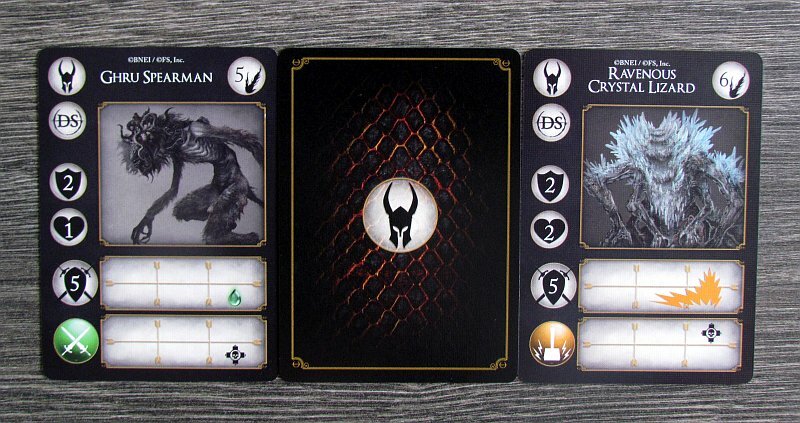 Heroes get a tiny bonus printed on the card, their deck limit rises and everyone gets their discarded cards back. Then, players get a chance to buy new treasures for their souls. 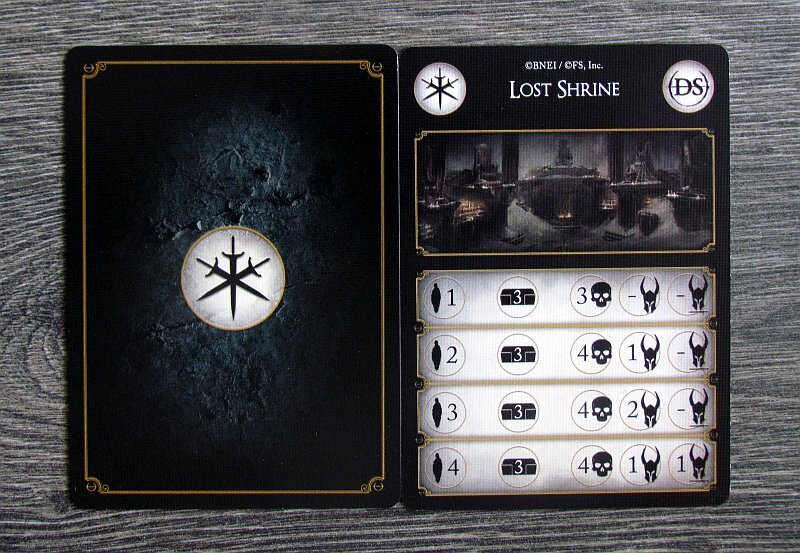 These cards be immediately added and change the contents of the deck, keeping its maximum size prescribed by the fire card. Most rules apply even when the players arrive at the space with the main boss. But he also has his own card of skills and behaviors. In addition, each of the bosses offers a variety of special skills and they are a real treat to fight. In addition, players are fighting the enemy as usual. The game ends with victory only, if they survive battle with the final opponent. Winners can even die and try again, but whenever a last spark card is lost, their team effort ends with a defeat. 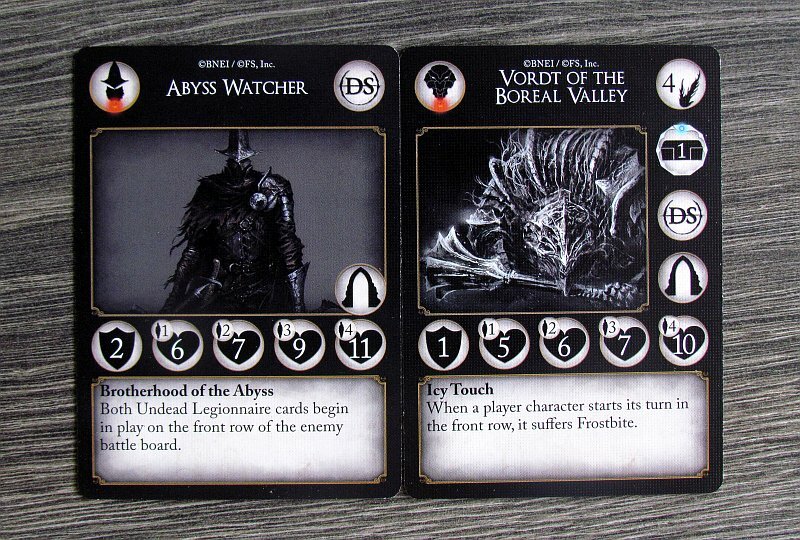 Dark Souls: The Card Game has everything its big brother has, and more. This is because everything is even more straightforward, but great fun. The game can keep players’ attention and test their ability to co-operate on individual position battles. 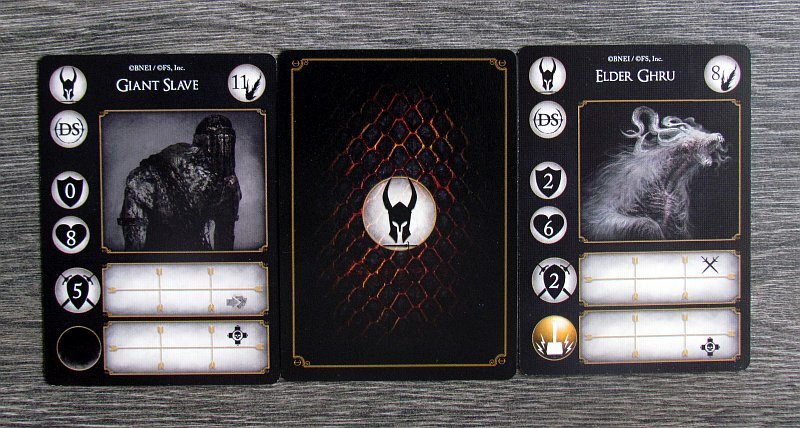 These are always different, because enemies and encounter cards are random for each game. 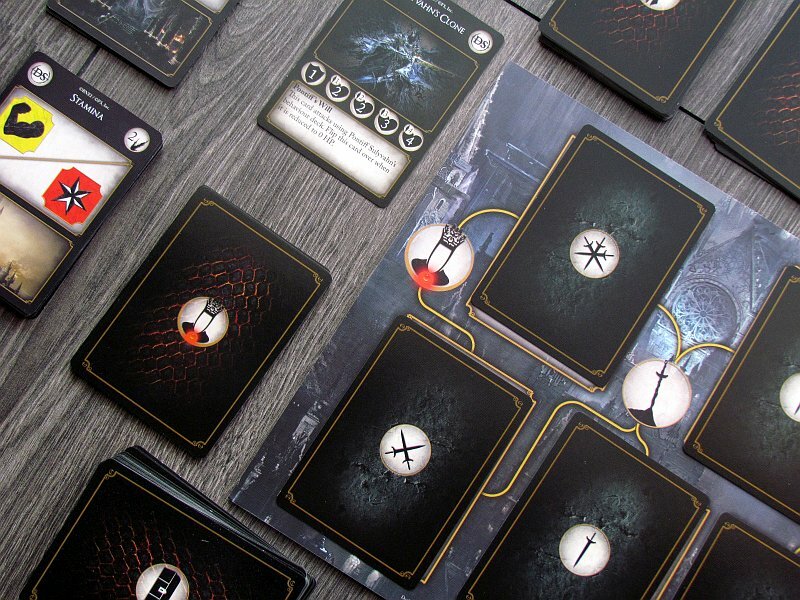 Direction of exploration is up to the players and uses a sophisticated board with five linked positions. It is only up to the players, in which order they want to fight their challenges. 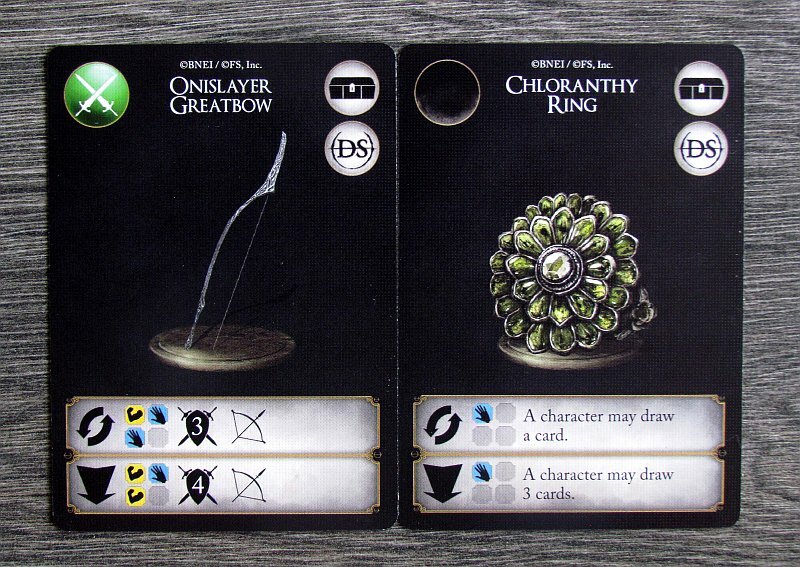 Even with a card design, however, heroes have the feeling of uncovering a new danger every time, because encounter cards are covered from the start. 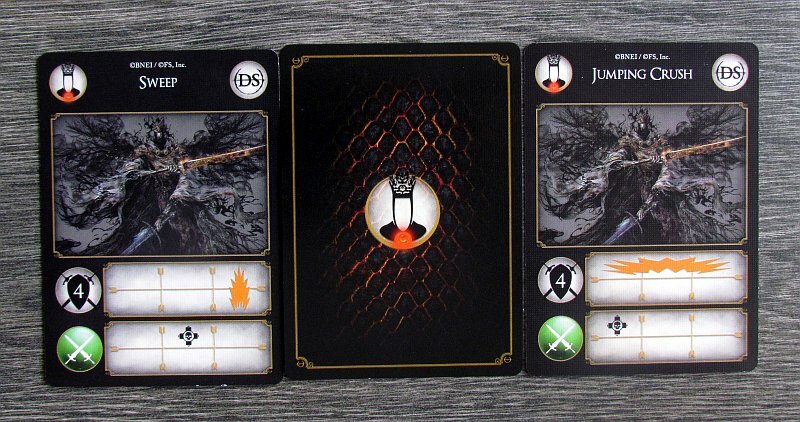 However, because bonfire cards come a limited number, you can not rest after each fight, and have to take risks. The whole team is running a time, that is not infinite. But players need to be prepared, that victory is not for free. 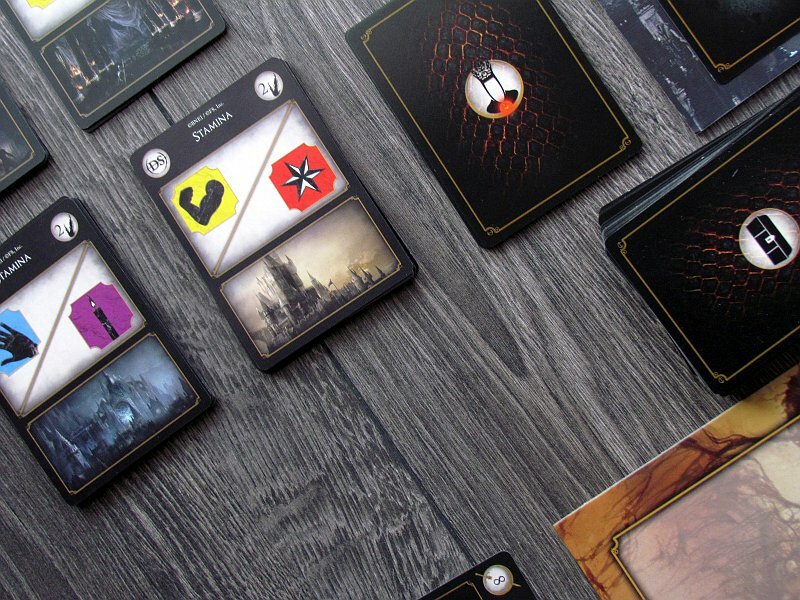 Cursing your way to the final villain is a challenge, but the final duel of each game is an adventure in itself. Each of the bosses is unique, and it’s still a lot about the positional fight, but especially about how the heroes were able to prepare and strengthen in previous encounters. If their packages are improved well and cards come in the right order, then their chances are certainly greater. During the game, hero progress is obvious. There is no leveling up as in big game, but it also results in a much simpler course. It is this deck building element, that is absolutely vital for success, allowing players to greatly adapt the hero to their image. With every burning of one card at the fireplace, the heroes receive a bonus and, above all, their package size increases. This can be calculated very well and is preparing them for another level of tactics. There is quite a bit of tactics in every game, although it’s all about drawing cards from the shuffled deck in the end. In all three possible numbers of players, game works great. And then there is a solo game, that will also surprise you with very positive impressions, where you choose not one but two heroes at the beginning. In addition, the game does not last long, and the whole survival struggle will last for about 90 minutes, which is more than one hour, but still a reasonable value for such adventure. A big advantage is setup. It’s fast. On the contrary, wrapping the game up and sorting out the expansion cards from the deck will take some time. 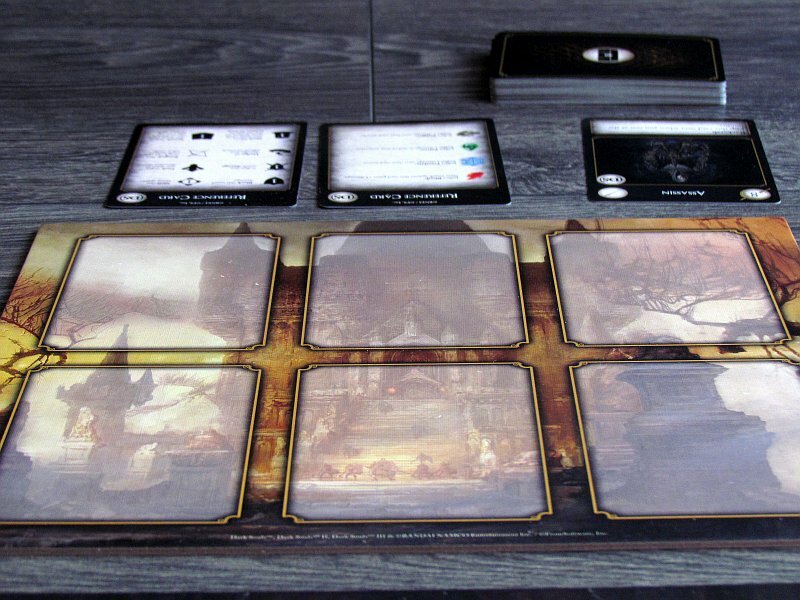 The processing itself is of good quality, the cards are clear and the graphics are interesting (faithful to their model). The only deficiency is the rules, that are unclear from time to time. Luckily, most of them can be ultimately solved with common sense. 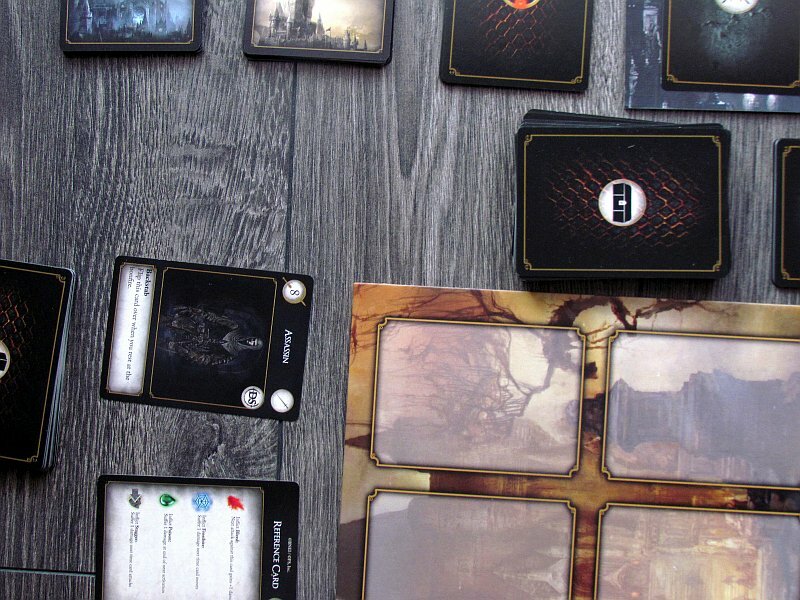 Dark Souls: The Card Game is a great card-cooperative game, that will not let the players breathe out. It offers a really good piece of entertainment in small packs, even if there are only four main villains in the game. The game is shorter and better, so we rate it even higher, than the original version. 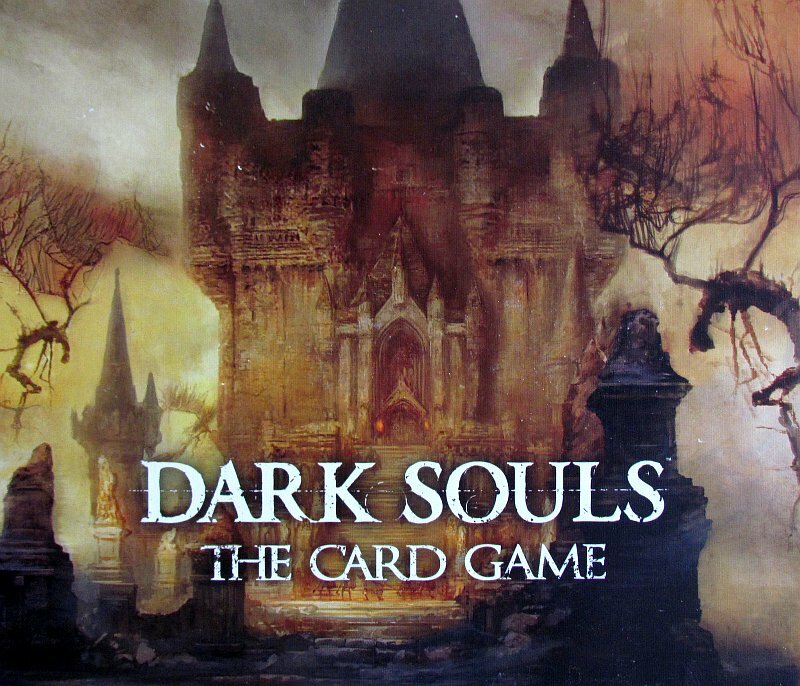 Dark Souls: The Card Game is great. 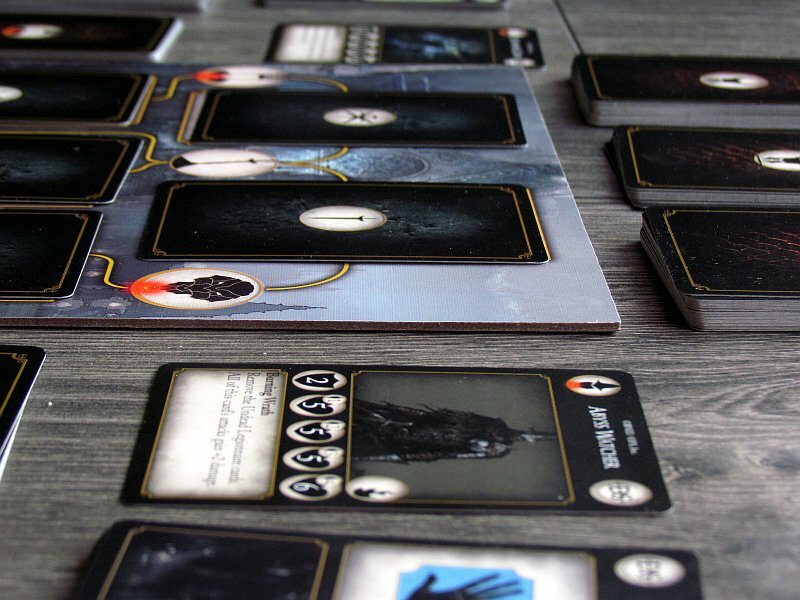 Dark Souls: The Card Game is a very good co-op card game, but you should adjust your expectations at the beginning. 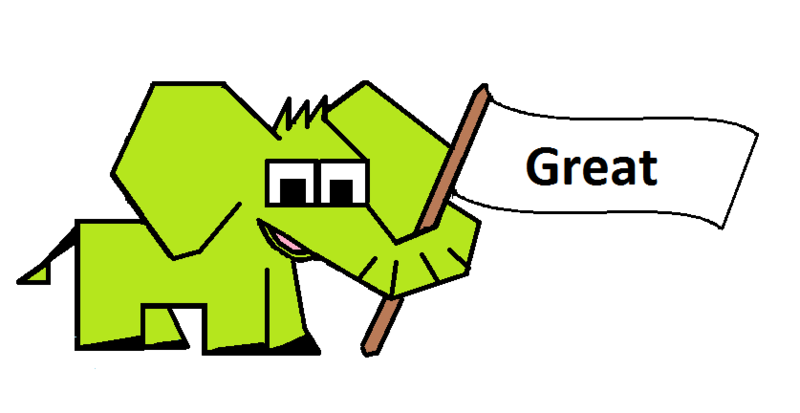 First of all - this game is really hard, so get ready for defeat. In addition, it is random and sometimes you will be in bad luck. On the other hand, however, each game offers plenty of opportunities to work as a team and use tactics to your advantage. The whole match is atmospheric and there is enough content in the box. Even so, sooner or later you will get into a situation where thestarts repeating. But that will be in quite a long time. 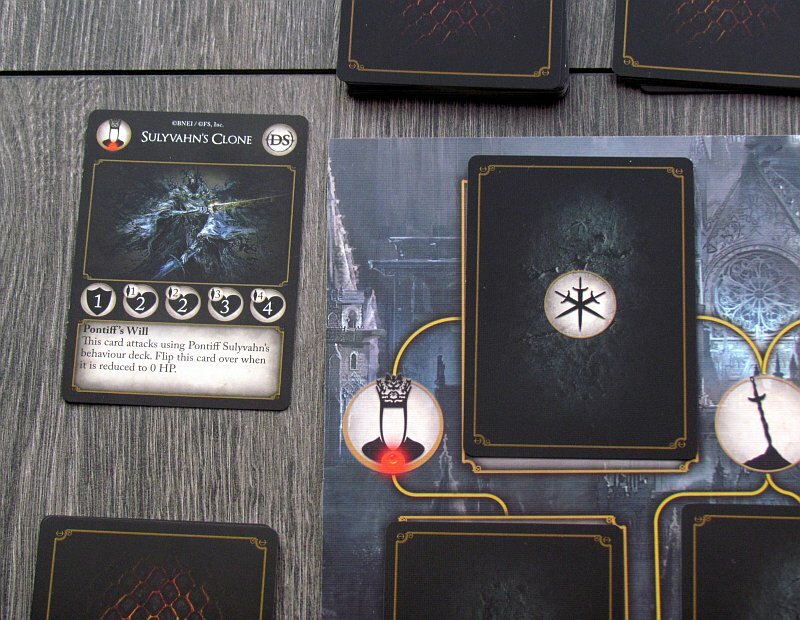 Until then, Dark Souls: The Card Game is really fun.